In the Italian Serie A this weekend is the 22nd matchday of the current season on the program. At the start, the strong promoted FC Parma could win a notable 3: 3-draw with the Italian sector leader Juventus Torino. The Ivorian international Gervinho shocked the old lady with the equalizer in the 93rd minute. Completing the current matchday on Monday evening with two games. In the first game it comes to the “David against Goliath” -Duell between promoted Frosinone and Lazio Roma! In contrast to Parma Frosinone Calcio could not really take root in the second Serie A year of the club’s history. The newcomer is with only 13 points on the 19th place in the table and thus already has a residue of four counters on the saving shore. However, last weekend saw an impressive 4-0 away win at the relegation competitor Bologna. With Lazio Roma, however, a much stronger caliber awaits the newcomer. In the fight for Europe, the Romans should not allow themselves a slip-up. With a concentrated performance, however, the victory should go to the team from the capital. For a home win by Frosinone against Lazio Roma odds of over 7.00 are offered. The start of the match at the Benito Stirpe Stadium is on Monday at 7 pm. The season 2015/16 was absolutely uncharted territory for the club, for the first time in the club’s history, the underdog acted in the Beletage of Italian football. After 38 match days, this adventure was completed with a point yield of 31 points but again. Head coach Marco Baroni’s team has even lower scores this year. Only 13 counters were collected in 21 games. Last weekend, however, the lights in Frosinone could be stopped early again. The basement duel against Bologna was won 4-0, the nearly 80-minute majority was exploited ice cold. This was one of the goals scored in these 90 minutes, the Frosinone has previously achieved in 20 league games. With 16 goals, the newcomer has on average still managed to score less than one goal per game. No other team has met less often. Conversely, 42 goals mean more than two goals conceded per game. Striking is also that the domestic stadium this season seems by no means an advantage. The second win of the season in Bologna was also the second away win. In front of his home crowd Frosinone could not celebrate a victory in ten matches. Five draws face five defeats. Most recently, the relegation slid into a 0-5 debacle against Atalanta Bergamo. Frosinone has scored in only four of the ten home games. If on Monday evening between Frosinone and Lazio Roma the tip is correct that not both teams meet at least once, attract odds of 1.80! The victory in Bologna certainly ensured confidence. However, this must also be properly classified. Game play in the form of the early red card and the double strike within three minutes was extremely favorable for Frosinone. Lazio Roma will certainly not fulfill the 19th of this favor. In addition, Marco Baroni has to do without the yellow-locked Francesco Cassata on Monday evening. In his place, Mirko Gori will probably slip into the root formation. Otherwise, changes are not expected. 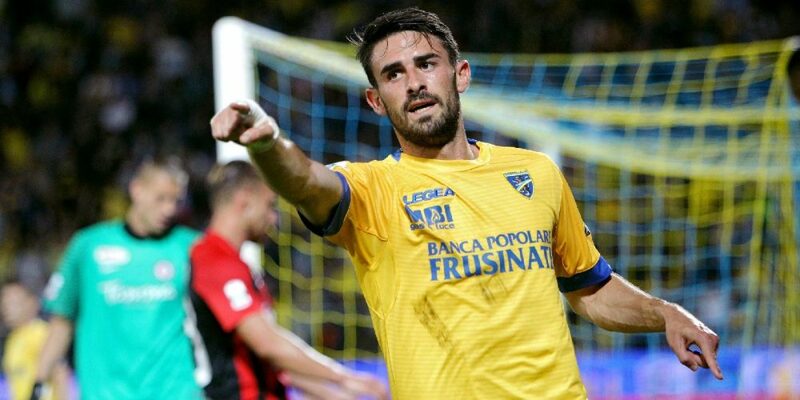 Especially because of the fact that Frosinone has a lot of injury concerns on the defensive. At the start of the second half Lazio has experienced a deja-vu. With two defeats, the Inzaghi Elf started in the new season, before a successful run was started. This was followed by five wins in a row. This also gives hope that the Romans will succeed again in these days the turnaround. The Europa League starter has namely after two round games again zero counters on the credit side. In the top matches against SSC Napoli and Juventus Turin Lazio narrowly lost each. The Romans have been a very strong team for years, scoring a lot of goals. Nevertheless, the team of President Claudio Lotito fails to establish himself sustainably in the top four. The big problem is that the Romans, especially in the direct duels against the top teams rarely convince. Of the last 26 league games against Juventus, SSC Napoli, Inter Milan and in the derby against the Roma Lazio celebrated only three wins, reached three draws and had to swallow 20 (!) Defeats. Even more catastrophic is the record this season – six games, zero points, 4:14 goals! All the more important was the prestige success on Thursday evening in the Cup quarter-final against Inter Milan. A game that was not for the faint of heart. The events overtook each other in the extension. The Immobile lead was offset by a completely unnecessary penalty in minute 125 (!). On penalties, Albanian goalkeeper Thomas Strakosha became a hero when he stopped in the middle of the game to defend the ball. After 120 intense minutes, a sense of achievement, which is also important for morality. With this positive feeling in the luggage and a sufficient break until the duel in Frosinone physical exertion should not be a problem. Lazio must renounce playmaker Sergei Milinkovic-Savic due to a yellow card suspension. The central defenders Luiz Felipe and Wallace are beaten, a mission is uncertain. There will be no lack of motivation, especially with head coach Simone Inzaghi, who will eventually take revenge on Frosinone’s job last weekend to get his brother Pippo Inzaghi off his job with a 4-0 success in Bologna. Lazio has a 4-2-4 away record this season. In 2015/16, the two teams faced each other for the first time. Lazio Roma was the favorites role in the home game (2: 0 victory), but had to be content in the Benito Stirpe Stadium of Frosinone with a goalless draw. Also in the first season duel between Frosinone and Lazio Roma was the tip on a “to-zero” of the Romans the right decision. Thanks to a strike by Luis Alberto, the Inzaghi team beat home 1-0. On both sides, in the last competitive match again vigorously fueled. Nonetheless, the starting point in this duel is obvious and anything but a score victory would be a big surprise. Finally, the home side have not been able to celebrate a single home win this season. Lazio, however, urgently needs points in the fight for a top spot in the Serie A. Qualitatively, there is probably no discussion and between Frosinone and Lazio Roma, the prediction is clear due to the existing player material. Ten home games – no victory! The newcomer is still waiting for the first home win this season! In three competitive games Frosinone has never met Lazio – a goalless draw, two defeats! Deja-vu after two defeats to kick off! Lazio rarely gives itself a nakedness against the supposedly small ones! The absence of Sergei Milinkovic-Savic is certainly a weakening, but his likely substitute Valon Berisha brings a lot of quality and should be in a game against Frosinone Calcio definitely also put the game on the game. The newly promoted defensive continue to complain about major injury concerns. Therefore, we would not surprise a top team again a clear defeat. Value is certainly present in the game between Frosinone and Lazio Roma when tapping on the handicap victory score.